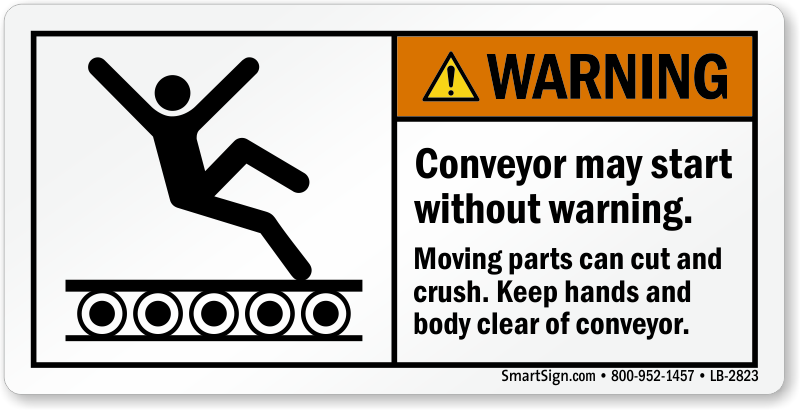 Conveyors are dangerous areas. Everyone needs to be aware of its sudden operation and other hazards. 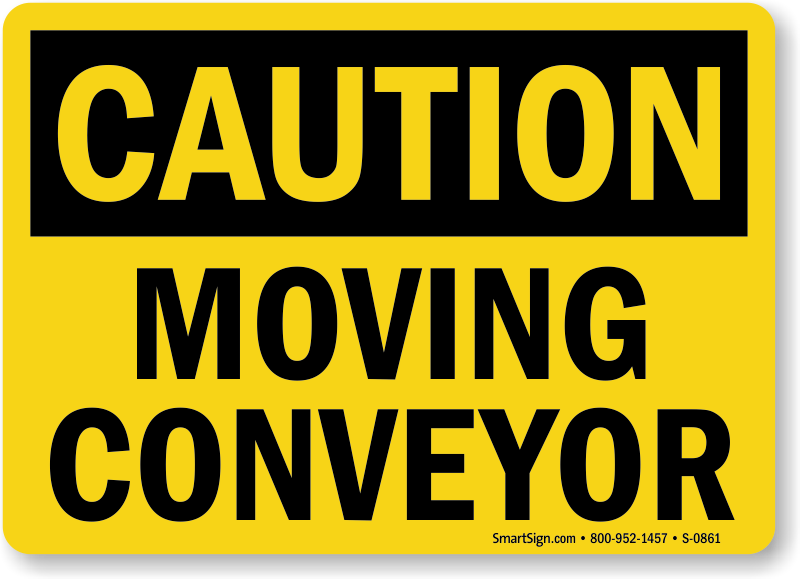 Appropriate conveyor warning labels are a must to avert any danger to your workers. 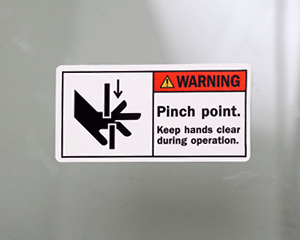 Our conveyor safety labels are easily attachable on any surface. They can be placed in clear view of the operators even in otherwise difficult or small locations. Stop accidents before they start with these labels. 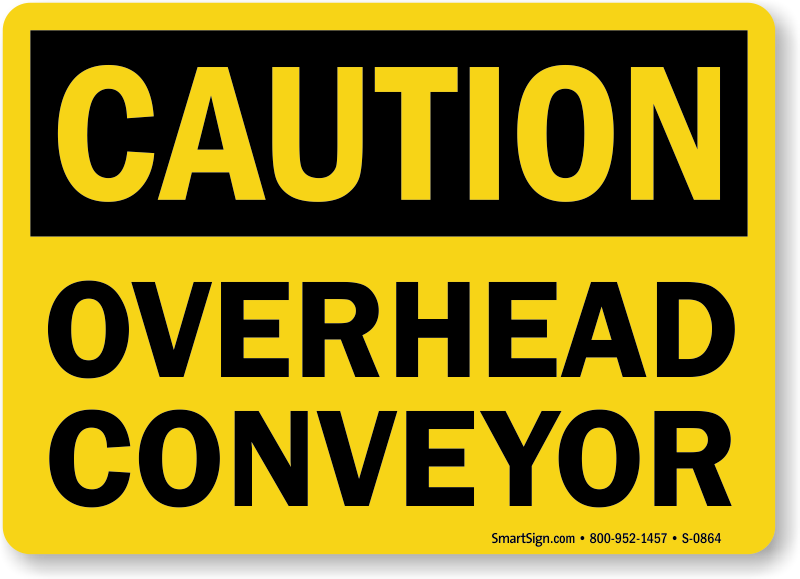 • Safety Standards (ANSI/ASME B20.1) for conveyors and related equipment state that warning labels must be positioned to warn of any risks to the workers. • We provide with both unlaminated and laminated conveyor label options to suit your requirements! • Place the right-sized OSHA compliant labels where your warning will create the most impact. Multiple labels are best for maximum efficacy. 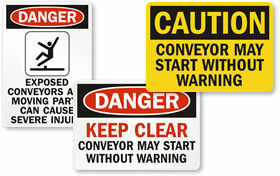 All our heavy duty rust resistant aluminum conveyor warning signs are also available as self adhesive vinyl decals.